My children are in the best preschool in the state of New York. 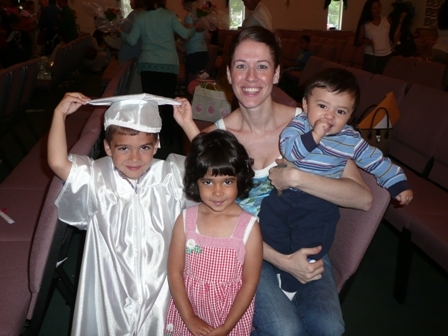 It is called Sonshine Preschool in Yorktown Heights, NY. The preschool is a part of my church, so I am extremely comfortable sending my children there. They offer different schedule plans – half days, full days, and even before and after care. Their prices are unbelievable compared to the pirces of preschools in Westchester County. I love it because it is not a daycare. It is an acedemic program where they have school time as well as fun time. They have special classes like Spanish, Art, Cooking, Gym, and they even go on class trips several times through out the year. I highly reccomend Sonshine Preschool to anyone in the New York area. You will NOT be dissapointed! My son was in the 4 year old preschool program this past year and my daughter was in the 3 yr old program. They really do it up at the end of the year with a cap and gown graduation ceremony. 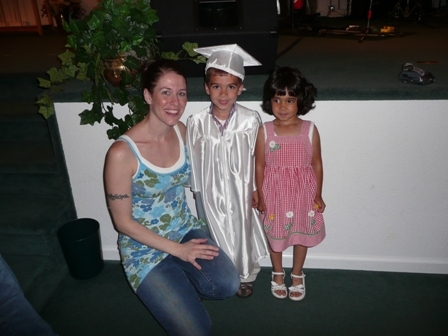 Each child recieves a character trait award, they sing a special song as a group and they even hand out little diplomas. 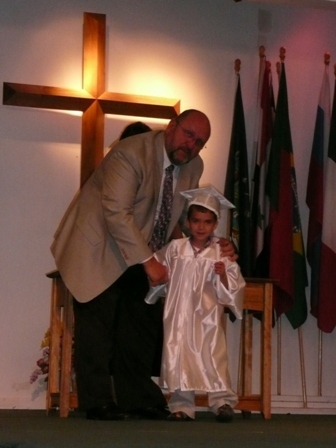 Here is my son receiving his diploma from the Pastor of our church. 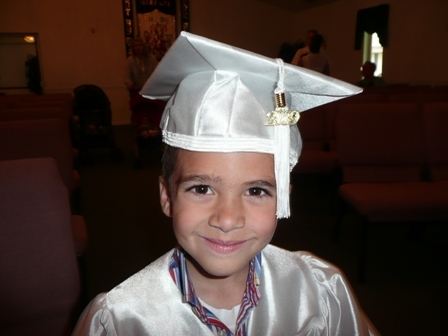 Here is my baby boy showing off his 2009 tassle. I was having some technical difficulties with my camera / video camera, but I WAS able to video the song that they sang. I did have to go back and forth because my children were on opposite sides of the group that was singing. I hope you don’t get too dizzy. LOL It is soooo cute though!